"Masterpiece" executive producer Rebecca Eaton says Downton fans can "rest easy knowing that a fifth season is on the way." The celebrated British costume drama focusing on the elite Crawley family will air its fourth season on "Masterpiece" beginning Jan. 5. 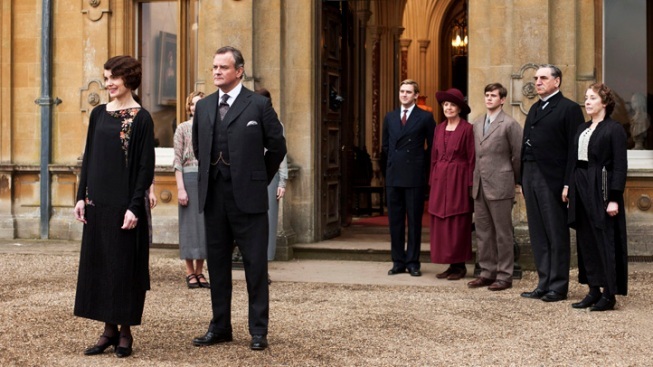 Michelle Dockery, Hugh Bonneville, Elizabeth McGovern and Jim Carter are among its stars. "Downton Abbey" will return for a fourth season in January, but now PBS is announcing the series will be back for at least one more after that. Earlier this year, more than 24 million viewers watched the third season of the series in the U.S., making it the most-watched drama in PBS history.